Education is currently at a crossroads as traditional methods and tools are changing as a result of advances in technology and learning theory. We are beginning to see some schools across the country take the lead in merging sound pedagogy with the effective integration of technology. These schools and educators, whether they realize it or not, are not only enhancing the teaching and learning process, but they are also providing their learners with essential skill sets pivotal for success in today’s society. These skill sets include critical thinking/problem solving, media literacy, collaboration, creativity, technological proficiency, and global awareness. The ultimate result with this shift has been increases in engagement as well as a sense of relevancy and meaning amongst learners, all of which are foundations for improving achievement. Even as we are seeing more schools and educators transform the way they teach and learn with technology, many more are not. Technology is often viewed either as a frill or a tool not worth its weight in gold. Opinions vary on the merits of educational technology, but common themes seem to have emerged. Some of the reasons for not embracing technology have to do with several misconceptions revolving around fear. Time: The time excuse seems to rear its ugly head more than any other excuse not to move forward with technology integration. The fear of not being able to meet national and state standards, as well as mandates, leaves no time in the minds of many educators to either work technology into lessons, the will to do so, or the desire to learn how to. Current reform efforts placing an obscene emphasis on standardized tests are expounding the situation. This is extremely unfortunate as integrating technology effectively does not take as much time as people think. Educators would be well served to spend a little time investigating how technology can be leveraged to engage learners. Once they do, their fears will subside as it will become apparent that standards and mandates can still be met while making learning more relevant, meaningful, and engaging for students. Cost: With budget cuts across the country putting a strain on the financial resources of districts and schools, decision makers have become fearful of allocating funds to purchase and maintain current infrastructure. This is unfortunate as there are many creative ways to cut costs, as well as to free resources that can be used with existing infrastructures. Schools can utilize cost-effective lease purchase programs for computers, investigate the implementation of a Bring Your Own Technology (BYOT) program, or promote the use of a plethora of free Web 2.0 tools. Where there is a will, there is a way. Cost can be prohibitive at times, but there are ways to overcome this and move forward. Assessment: Many teachers and administrators alike often fear how students can be appropriately assessed in technology-rich learning environments. This fear has been established as a result of a reliance on transitional methods of assessment as the only valid means to measure learning. Projects involving the use of technology that unleash creativity, promote critical thought, have students solve problems, and enhance communication/collaboration can easily be assessed with teacher-developed rubrics. There are also many software and web-based computer programs aligned to standards that have assessments embedded into them while offering real-time results and feedback. Control: For technology to be not only integrated effectively, but also embraced, a culture needs to be established where teachers and administrators are no longer fearful of giving up a certain amount of control to students. The issue of giving up control seems to always raise the fear level, even amongst many of the best teachers, as schools have been rooted in structures to maintain it at all costs. Schools and classrooms do not, and will not, spiral out of control when we allow teachers the flexibility to take calculated risks to innovate with technology or permit students to learn using social media or their own devices. To truly create an innovative culture of learning we must not fear failure either. When we give up control a certain level of failure will follow. However, it is from failure that we learn best and get better. Lack of training: With the integration of technology comes change. 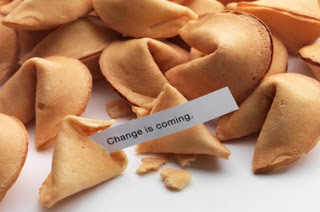 With change comes the inevitable need to provide quality professional development. Many educators fear technology as they feel there is not, or will not be, the appropriate level of training to support implementation. Rest assured, training can be provided and, in most cases, it turns out to be cost-effective. Schools can leverage tech savvy teachers to facilitate professional development. There are also numerous free webinars available throughout the year. One of the most powerful means of professional development is through the use of social media where educators can create their own Personal Learning Network (PLN) based entirely on their unique needs and passions. All of the above misconceptions that promote a sense of fear when it comes to educational technology in schools were a reality for me a mere three years ago. It wasn’t until I took the time to educate myself to better lead my school in the 21st Century that I soon realized my fears were solely built from misconceptions. The end result has been the transformation of New Milford High School, a transformation which is still continuing today. Don’t let fear based on misconception prevent you from creating a more student-centered, innovative learning culture. Rest assured everything else will fall into place. The Adobe Education Exchange is a central location for educators to meet, share, discuss, and collaborate on topics of interest to the Adobe education community. K12 and Higher Education faculty and staff can share and receive recognition for their teaching and learning resources and search for specific resources by subject, grade level, software product, and resource type. Educators can share best practices, discuss and collaborate around topics of interest, and gain inspiration for using Adobe software in the classroom in innovative ways. 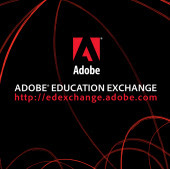 There are numerous benefits associated with becoming a member of the Adobe Education Exchange. Share lesson plans, class projects, technical tutorials, background materials, and other resources and get feedback and recognition from the community on your content. Discover new methods for teaching and learning, best practices for using Adobe software in the classroom, and guidance on a range of education topics. Find the best resources for preparing for new courses and projects or learning the skills you need to teach using Adobe software. Connect and collaborate with innovative educators in your field. Network with other educators that share your interests and start a dialogue on the topics you’re thinking about and exploring. There are many exciting projects that have been uploaded recently to the community. See how collaboration between high school and elementary resulted in the creation of imagery for video and an accompanying digital/print books to retell their story of the ancient Greek myth of Pandora's Box. Fantasy Newscast gets students to create their own audio newscast to learn about live reporting, editing, and adding sound effects to bring their newscasts to life while learning creative writing, recording and producing skills. You can also check out the Titration of Acids& Bases – Molecular Theory game. This game provides and excellent example of how you can use Flash to create an interactive visualization of an abstract concept. Science teachers can use this game to help their students learn what a titration actually looks like at the molecular level. Students shoot titrant molecules at the sample molecules to see how molecular changes affect the titration curve. These are just a few examples of activities that can be found at the Adobe Education Exchange. Become a member for free today to access resources, discuss Adobe software applications for learning, upload your projects to the community. Back-to-school time can be stressful for teachers who may have limited funds to help stock the classroom with items to help keep kids’ classrooms healthier. That is why the Clorox Company is launching the Canisters for Classrooms program to help teachers get Clorox® Disinfecting Wipes for their classrooms and get parents involved in donating, too! Now teachers can get the help they need. When they put Clorox Disinfecting Wipes on their back-to-school list, Clorox will automatically donate two canisters to their classroom! Visit Clorox Classrooms to upload your back-to-school supply list or create your back-to-school supply list online. Clorox has a long-standing commitment to helping schools and teachers maintain a healthier learning environment throughout the school year. Clorox is dedicated to educating children about the importance of preventive health and recognizes that teachers play an influential role in teaching children about healthier habits. Sing & Scrub: Make sure kids wash their hands the right way. They should wash frequently with warm water and soap for at least 20 seconds (the time it takes to sing the “Happy Birthday” song twice). Do the Elbow Cough: Teach kids to cough into elbows, not hands, where they are more likely to spread bacteria and viruses through touch. Disinfect Hot Spots: Be sure to disinfect the surfaces kids touch most frequently in the classroom – like desks, computer mice and doorknobs. Use a disinfectant approved to kill cold and flu viruses, like Clorox® Disinfecting Wipes. When kids go back to school, we want them to swap summer stories and study tips, but we don’t want them sharing cold and flu germs. Adding Clorox® Disinfecting Wipes to your back-to-school list can help prevent the spread of germs in the classroom when used as directed on hard surfaces. We know that with budget cuts affecting school programs and the quality of learning environments everywhere, you can use all the help you can get to help make students’ learning experiences the best they can be. Teachers should check school policy before adding Clorox® Disinfecting Wipes to their classroom list. Please share this post with other teachers that you know so they can create their back-to-school supply lists online and be eligible for this program. Please join me in a Twitter chat on Tuesday, May 8th from 8 to 9 p.m. ET to learn more about Clorox’s Canisters for Classrooms program and how teachers can get two free canisters of Clorox Disinfecting Wipes for their classrooms to help keep their classrooms healthier. You can follow the conversation by using the #clxcanisters hashtag. ** I am a member of the Clorox Classrooms teacher panel. While attending the NSBA Annual Conference this past weekend, I had the opportunity to attend Sal Kahn’s keynote on Sunday. 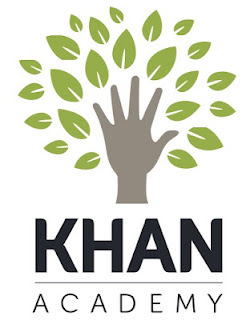 Khan is the creator of Khan Academy. He began his keynote by sharing a video montage of Khan Academy highlights and then presenting some impressive statistics on usage. To date, these statistics are: 140 million+ lessons delivered, 500 million+ exercises done, and 6+ million unique visits per month. It is obvious from these statistics that many stakeholders, including students, are finding some form of value from the service that Khan Academy provides. The catalyst for Khan Academy began some years ago with a Yahoo doodle Sal developed to help a family member with her struggles in math. In addition to using Yahoo doodle, he began writing quiz software in 2006. Dismissive at first, he then began to create video tutorials that were uploaded to YouTube. As Sal emphasized, his key finding during this exploratory process was that viewers could engage in the content when they were ready for, or needed, it and could learn at their own pace. Once on YouTube, the videos took on a life of their own and were widely watched and used by teachers, parents, and students. He officially started Khan Academy in 2009 knowing that quality videos would withstand test of time. As the site increased in popularity it caught the eye of Bill Gates and Google with an end result being over 4 million in funding. The Khan Academy site now contains over 3000 videos mapped to the Common Core and associated assessments that allow learners to practice and reinforce skills acquired through the videos. Detailed statistics are provided to learners and coaches (i.e. teachers) to provide a snapshot of what has been learned. You can learn more details about other associated features here. As students show mastery in one concept they move on to the next. Sal Khan says his system is out of sync with that of traditional education systems that have become indoctrinated over many years. He feels that his service increases valuable time for teachers to connect with students in class. As he stated, student teacher ratio isn't important - it is the student to valuable teacher time ratio that matters. Khan Academy’s new features provide powerful data on growth and achievement that teachers can utilize to modify instruction. @cascadingwaters: All of this #khanacademy bit works, right up until the kid gets stuck. And they do. Khan Academy is not a silver bullet that will fix education and improve achievement as a stand-alone entity. It has its merits, as does the flipped learning approach that his videos are generally associate with, but more as an instructional supplement to enhance the teaching and learning process. The video resources and associated services provided for free by Khan Academy are powerful learning tools, if they can be accessed by populations (rural and urban) that need them the most. Khan Academy merely provides the content. Great teachers are the key to developing authentic tasks for students to apply what they have learned and assessing to provide feedback. As a tool Khan Academy will benefit educators, students, and parents in a quest for knowledge, practice, and reinforcement. It will not, however, be a game-changing reform agent as the private sector sees it. With this being said, what are your thoughts on Khan Academy and it's implications on education? Adobe, a leader in providing creative tools to schools and educators, is preparing to announce some exciting news early next week. Live Streamed Webcast: On April 23rd, Adobe will be hosting a launch event to announce how the company is reinventing creative software with the first release of Adobe Creative Cloud and the new Creative Suite 6. This will be the first full public demonstration of Adobe Creative Cloud in action. The company will also preview future updates, available later this year, to its Creative Cloud offering. In addition, the company will unveil new primary research on the impact of creativity on our culture and economy, and reveal new initiatives that encourage creativity in education. The launch event will be streamed live beginning at 10 a.m. PT and will be available there as a continuous rebroadcast from 11 a.m. - 4 p.m. PT on April 23. An on-demand version will be available beginning April 24. On Twitter, see how #Adobe is reinventing the creative process with #CreativeCloud and #CS6! San Francisco Scavenger Hunt: In promotion of Adobe’s newest Creative Cloud offering, on Adobe is putting on a scavenger hunt in San Francisco on Monday as well for those of you who reside in the area. Why participate? Because it will be fun – AND, The grand prize is $10,000 and a lifetime Creative Cloud membership, with two runner up prizes of 1-year Creative Cloud membership. Beginning at noon PT and ending at 6:00 p.m. PT, there will be a total of 6 destinations around the city that you can’t miss with “creative cloud visuals” placed out and about. As you arrive at each destination, quickly check-in on foursquare, tweet about your whereabouts, and grab a puzzle piece from the Adobe staffer. You’ll need to collect a puzzle piece from each location to construct the full jigsaw puzzle. You will then present your completed puzzle to staff when you arrive at your final destination – the Adobe San Francisco office. Three secretly marked puzzles out of the 500 total will be winners. The grand prize is $10,000 and a lifetime Creative Cloud membership, with two runner up prizes of 1-year Creative Cloud memberships. The official start time is 12 p.m. PT and the hunt will be over at 6 p.m. PT. You can complete the hunt at any time between those hours and visit the locations in any order, but you must end at Adobe San Francisco before 6 p.m. PT. The route will take under 2 hours on foot, and even less time by bike. Online Scavenger Hunt: For those of you not located in the Bay, there’s also an option to play online for the chance to win one of three 1-year Creative Cloud memberships. On Monday April 23, there’s also an option to play online for the chance to win one of three 1-year Creative Cloud memberships. All you need to do is scour the web using the clues Adobe provides, and be one of the first people to cross the virtual finish line. Here’s how the online scavenger hunt will work: Register here now! When you register, you’ll get an email with a link to the first clue. Keep it because the #SocialHunt begins at noon PT on Monday April 23rd. The scavenger hunt is a 3 hour race to the end where the first 3 people who provide the correct phrase on the Acrobat form will win a free 1-year Creative Cloud Membership. Anyone 18 year older can take part. Read more about the terms and conditions. Ready to play? Remember to register and be sure you’re connected to the web those 3 hours between noon and 3 p.m. PT on Monday, April 23. For more details read Adobe’s Creative Layer Blog Post. So stay tuned this Monday as Adobe unveils new and upgraded products that have the ability to unleash the creative potential of learners. Also, don't forget to check out the Adobe Education Exchange, a free online community to meet, share, and discuss with other educators using Adobe software products in the classroom. As we continue to move further to enhance our Bring Your Own Technology (BYOT) initiative at New Milford High School we are continuing to look for cost-effective resources to support this endeavor. One such resource is Celly. Celly lets people create private communication networks that work really well for situations that other social networks and resources don't. It also provides schools with a platform of tools that can be used to accomplish a variety of tasks. Moderated messaging so students can help each other and ask questions with guidance from the teacher. It can also be used to establish study groups called "cells" where a constant activity stream is generated. This stream also becomes searchable. I like the fact that cells can be established by a teacher and used for threaded discussions or by students to collaborate on homework or projects. Groups can also be created for specific clubs/activities or to manage field trips. Polling for instant evaluation and clicker replacement. I am a huge fan of using mobile learning devices (i.e. student cell phones) in class as part of an anticipatory set, to review prior learning, to check for understanding and/or assess, or as a form of closure. Establish an interactive wall during class, assembly, or movie to increase engagement. Ability to send alerts, notices, and reminders. Increase community engagement and enhance outreach by creating cells to gather information on aspects relevant to your school. Built-in feature that can be used to take notes. Versatility in access. Celly is accessible from the Internet, SMS (text message), and email. It also works on any type of cell phone. Best of all it's a free service. With over 1 million text messages sent last month Celly is growing fast. They are even about to release an Android app. To learn more about Celly and to get started creating your own cells click this link. You can also check out this tutorial or the video below to get started quickly and easily. A few months back I read some articles on Twitter describing how educators were pairing the iPad, Apple TV, and an HDMI projector to create an interactive whiteboard experience. After reading these tweets, I realized that not only was this potential setup mobile, but it was also very cost-effective. As I ran the numbers through my head, I figured that this particular set-up would run me about $1500, almost $2000 less than if I were to purchase an interactive whiteboard with installation. Now don’t get me wrong, I am an advocate for having interactive whiteboards in schools. We currently have approximately fourteen installed in classrooms and my teachers are huge fans of the Smart software that comes with them. The reality though is that it becomes costly to purchase and install more interactive whiteboards. Thus I decided to give the iPad setup a try as a more cost effective option that would not require any installation and could move from classroom to classroom. Working with my IT Director, we purchased an iPad 2, HDMI projector, Apple TV, and a carrying case that could accommodate all of these items as well as cords. We also secured an extension cord and power strip to go along with the set up. Plug in HDMI projector and Apple TV to a power outlet. Connect Apple TV to projector. Turn on iPad, double click circular button near where you plug in the power cord, slide toolbar to the right, click button the looks like a computer, select Apple TV, and then set to mirroring on. Our new interactive, mobile whiteboard project has now been in use for over a month and it has received rave reviews from teachers. The iPad itself serves as the interactive whiteboard and the image is then projected onto a screen. What’s really cool about this is that a teacher can move about the room with the iPad in hand and have students interact with it from anywhere. In order to use this, teachers email me a request. They then come down to my office and pick it up on the day that they want to use it. Here are two firsthand accounts of how my teachers are using it. Ms. Tahreen Chowdhury (Science) - In general, I use the iPad-projector to be able to walk around the whole class while I am writing any notes or going over activities that the students have completed. This gives me a chance to be near the more social groups so they are not distracted, and near some students who need to ask me a quick clarification question while I am writing. For conceptual physics, I use the iPad-projector as an incentive for them to display their answers. Students are often shy to go up to the board, so this helps them avoid standing in front of everyone and they still get to use an appealing gadget (the students are usually happy to use it). For CP and honors physics, I use it to take quick pictures of one group’s whiteboard work and display it on the screen so everyone can see what one group is doing and use it to better their own work. In honors physics, I also use it as a live camera when I see one group has setup an experiment in a more effective way than others. In addition to that, I use it to project small-scale demonstrations that not everyone can see from where they are sitting. Mr. Craig Hawkins (Math) - Some of the ways I have used the mobile iPad projector include drawing/solving math problems on screen and having students draw/solve them on the iPad. I also show students websites of companies and universities that use math in-depth for their company's work. Some examples include facial recognition software, missile guidance systems, and polynomial curve fitting. I have also used it to look up stock performance charts while explaining the charts to the students in an interactive fashion. If you are looking for a cost-effective solution that can be interactive and engaging to both students and teachers, look no further. If you are currently using a similar setup please share your lessons, ideas, and feedback. The following is a guest post by Danielle McCartan. Danielle is a foreign language teacher at Ramapo High School in NJ and currently enrolled as a graduate student at the College of NJ. This is being posted with her permission. Society has evolved from the days of the infamous phone call: “Hi, did you get my e-mail?” Push notifications take care of that problem. RSS feeds are delivering handpicked news stories directly to people. Now, documents are put online, where they are live, and anyone with permission has the ability to edit them, each keystroke recorded and color-coded for future reference. Families, relatives, and friends, separated by oceans, can converse with each other in real-time with a video feed, for free, using Skype. Technology is evolving, as are our lives. Two new terms have emerged: Digital Natives and Digital Immigrants. Digital Natives are people that have grown up using all sorts of technology whereas Digital Immigrants are those who have to learn to use different technologies. This differential is causing a split among educators. The Great Divide is especially apparent in high schools across America. “‘Every time I go to school I have to power down’ complains a high-school student” (Prensky 3). This phenomenon happens in schools all around the United States on a daily basis. Why? Historian Peter Cochrane has a viable answer: “Imagine a school with children that can read and write, but where there are many teachers who cannot, and you have a metaphor of the Information Age in which we live” (Mundorf). 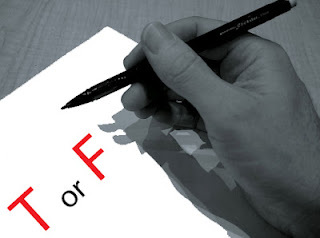 American schools are falling behind worldwide and a major reason for this is because its teachers are becoming archaic. Technological advances are leaving many American teachers in the dust. In the age we live, students should not be required to ‘power down’ upon entering the classroom. “Today’s students think and process information fundamentally differently from their predecessors” (Prensky 1) and teachers need to devise ways to embrace technology, not be afraid of it. They need to let go of the mindset of: “this is how I learned it. This is how I’m going to teach it”. Chances are, in this Information Age, those methodologies are outdated. “[It is not] that Digital Natives can’t pay attention, … they choose not to” (Prensky 3) and by using old methodologies, teachers run the risk of being “tuned out” by their students. The top medical schools in the United States are combating the change in contemporary students. They are adapting their curricula to fit the needs of their changing learners. “Today, the curriculum at American medical schools is undergoing its greatest change in a generation” (Pink 77). It is easy to plug a patient’s symptoms into a computer and have it generate a list of diagnoses. At Columbia University Medical School, future practitioners are now being trained in ‘narrative medicine’ to compliment the power of computer diagnostics (Pink 77). Even more cutting-edge, and in addition to their normal coursework, students at the Yale School of Medicine have to study paintings. This “smart curriculum” holds the belief that “students who study paintings excel at noticing subtle details about a patient’s condition” (Pink 77). Who would have thought? When will the administrative trickle-down theory reach mainstream public education? Teachers must be proactive. It is easy to get lost in the virtual world of apps and websites; therefore, instead of having information and technology overload, teachers must thoroughly research and plan, in advance, to use different technologies. “As educators, we need to be thinking about how to teach … in the language of the Digital Natives” (Prensky 4). Teachers must plan to integrate technology piece-by-piece into their classrooms. That is why I am planning on and using Edmodo in my classes. Edmodo is a social network, strongly resembling Facebook, built by the creator of LinkedIn and the senior vice president of product management at Facebook, specifically for the education field. Its privacy settings are strong and it “has emerged as the engine in the classroom for content sharing, collaboration and assignments” (Guynn). Both my students and I are familiar with the layout without even having to explore it too deeply. Initially, I plan on using Edmodo as a homework tool. Instead of giving students mindless worksheet exercises to complete for homework, where they have to wait until the next day to receive feedback and can easily copy off each other, I am planning on using the quiz function on Edmodo. I plan on transforming these worksheets into an online-quiz, where students can receive instant feedback about what they are doing wrong and why. In one of my Italian classes, I have a clothing unit coming up. I am planning on assigning students a “long-term” (week-long) homework assignment in which they will respond to my video prompt asking them to describe their clothing with a video of them rummaging through their closets, using the vocabulary to describe articles of clothing. Students will post a video response via Edmodo. A goal of all world language educators is to have students use the language outside of the forty-two minute period within the four classroom walls. Edmodo facilitates this contact. In the Edmodo interface, there is a selection called Badges. Teachers are allowed to assign badges to students for any different reason, but I plan on awarding “SMS Badges” to students that communicate with each other via (appropriate) text messages and upload the conversations to Edmodo. Studies show that “students with smart phones study more than students without” (Flacy). There is also a free Edmodo app that students can use on their smart phones (even I have downloaded it!). Students can mupload (mobile upload) pictures, post videos, and even complete their homework on-the-go. Hopefully, students will start posting things to our class’ Edmodo group on their own – without me telling them to. Imagine that! Psychologist Jean Piaget states: “The principle goal of education is to create men and women who are capable of doing new things, not simply repeating what other generations have done” (Mundorf). It is the role of the teacher, who must be up-to-date and well versed, to utilize cutting-edge technology to teach the Digital Natives in their classrooms. Students should not have to turn off and stow their devices for the duration of a class period. There are many great resources available, but I believe Edmodo has it all. Its social networking interface and app are tools that students are using daily. Why shouldn’t they be using this in the classroom? This echoes a sentiment from John Chapin: “We can no longer afford to educate today’s students for tomorrow’s world with yesterday’s schools” (RTC Handout). There is a major paradigm shift occurring. The American education system must stay ahead of the curve to produce the most capable world citizens. Century Fluenct Project. Retrieved from: http://www.committedsardine.com/blogpost.cfm? Prensky, M. (2001). Digital Natives Digital Immigrants. On the Horizon, 9(5), 1-6.